This Sterling Silver Wiccan Triquetra Pendant can be used as a charm or a pendant and will quickly become one of your favorite pieces of Wiccan Jewelry! 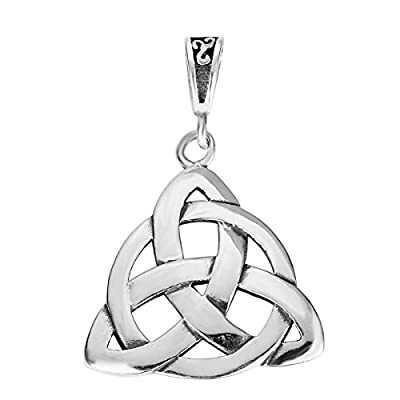 Please be informed that this Triquetra Pendant is not a huge pendant - roughly the size of an American dime. 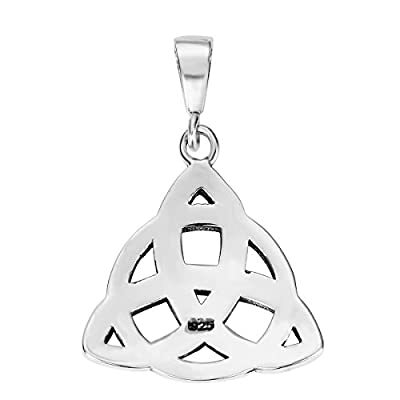 This takes nothing away from the wonderful styling of a Triquetra pendant and it is a beautiful piece that you will enjoy having close to you. Give it your own meaning - what feels right to you! 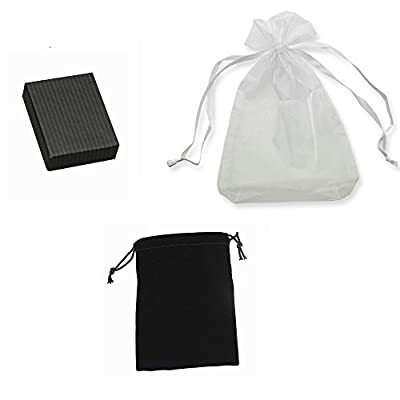 Many customers use it as an amulet of protection, power and beauty or whatever you assign it! 925 Sterling Silver Wiccan Triquetra Pendant (Size Options). Our silver jewelry is made from Sterling Silver. Sterling Silver is a mixture of high-quality 92.5% or higher pure silver with alloys to add strength and ability to withstand time and wear. All our items have a 925 Stamp referring to the Silver Purity that was used when crafted. Please Note: The 925 Stamp location may vary, depends on the item. The Sterling Silver Wiccan Triquetra Pendant comes in either 16mm or 20mm - these two measurements refers to the pendant itself, not the bail. This piece is suitable for both men and women and also looks great in a leather cord if preferred over the chain.